M&S Parking: NYC's Vision Zero speed cameras - lifesavers or moneymakers? NYC's Vision Zero speed cameras - lifesavers or moneymakers? New York City officials are calling Vision Zero's speed camera program a big success, while some city drivers are calling out the cameras as money makers with no effect on pedestrian safety. According to NBC and WNYC, it looks like they're actually both. Using speeding ticket data, WNYC was able to pinpoint the 51 speed cameras across the city (see map below) and found some interesting trends. The top ticket issuer is a speed camera located on the Shore Parkway in Coney Island off the Belt Parkway. It issued over $2.75 million in tickets last year - 100 times what ticket officers in that area's precinct wrote by hand. WNYC found that "the three top-ticketing cameras were all just off major roadways: the Long Island Expressway, the Belt Parkway and the Staten Island Expressway. All were in places where pedestrians don’t cross, because there’s nothing to cross to. The roads have fences on one side, blocking off the highways." However, the rest of the speed cameras were found to be in legitimate areas where pedestrians cross. There was also evidence that the number of tickets issued by each camera consistently decreased over time, suggesting drivers were finally slowing down. Accidents in camera areas also dropped by about 13%. 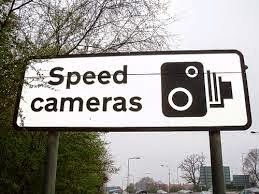 What do you think of the speed cameras? Are they effective in achieving pedestrian safety or are there better methods that could be implemented instead?